If you are one of them, you might be interested in the newest thing in wristwatches coupled with mobile devices: Pebble, the e-paper watch that works for both the iPhone and Android devices. With iOS and Android covered, this thing should be a hit, shouldn’t it? 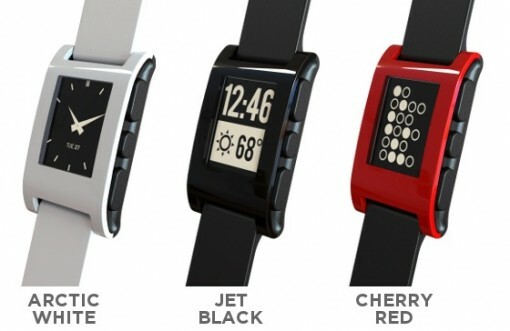 Pebble is a Kickstarter project by Pebble Technology, which is based out of Palo Alto. While the main function of Pebble is to tell the time, its capability to connect to your iOS or Android device via Bluetooth gives it so much more value. Once you have set it up, Pebble can alert you to what is going on with your other device. Got a text message? Pebble can alert you to that. The same thing goes for when you receive voice call, emails, and so on. Naturally, the guys behind the watch are also working on apps that will make Pebble even more functional. From bike computer to GPS to running device to golf app – it seems that the overused line “There’s an app for that!” will be applicable to Pebble. Now how about the aesthetics? Watch aficionados will certainly have this element high up on their list of non-negotiables. From the way things look, Pebble can hold its own in this department. I honestly wouldn’t mind having the red one shown in the sample photo! The project will be on Kickstarter till May 18, and you can get one Jet Black Pebble if you donate $115. Add $10 to that, and you can have a Pebble in the color of your choice. For $220, you get two black watches. Got the cash? I think you ought to jump at this chance!